but not be tired of hearing it from every band everywhere. Songs that you like, but don't hear all the time. 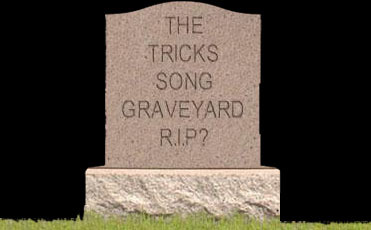 This is a list of ALL the songs Tricks has EVER done since 1976. Songs that you don't hear from every bar band in the world. Once in a while, we dig a song up and put it back into the active list. Let It Ride - - - B.T.O. Green River - - - C.C.R. Ready For Love - - - Mott The Hoople, Bad Co.